UNIVERSITY PARK, Pa. (WPVI) -- Malaria infects 200 million people worldwide each year, and hundreds of thousands of people die. However, an infected person often shows no symptoms, and even blood tests don't always show the parasite. Yet one infected person can lead to infections in dozens of others. A newly published study says recognizing changes in their odor could be a quick, easy, and fairly inexpensive method. 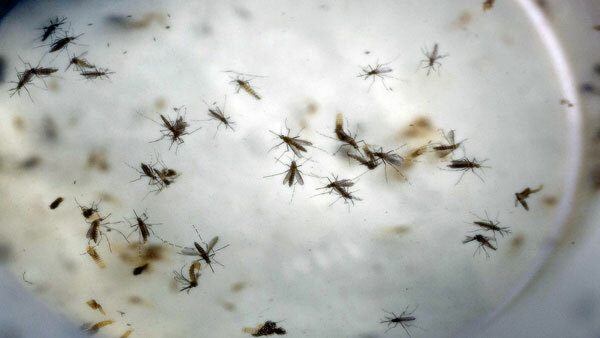 The joint study by Penn State and ETH Zurich revealed that chemicals released from the skin of infected people create an odor signature that makes them more attractive to the mosquitoes which transmit malaria from one person to another. The study found that the odor profiles were significantly different between those with acute infections and asymptomatic infections. The research team hopes the discovery of the chemical signature can lead to a simple diagnostic tool for field detection of malaria in its early stage. They also hope that similar methods would help in detecting and fighting other diseases, since many cause changes in the odors of those who are infected. ONLINE: Altered body odor indicates malaria.